Escaping from Earth-2 was not nearly as exciting as arriving. Despite the fact that most of the doppelgangers were killed off already, I held out hope that The Flash Season 2 Episode 14 would still be a lot of fun because it would be our first experience with E-2 Barry. The Flash Photos from "Escape from Earth-2"
Unfortunately, outside his wing-tip on ice comment seen in the preview, he was so much like the Barry we met pre-lightning strike on Arrow that he wasn't as fresh as all the other doppelgangers. And when you got away from the doppelgangers, the "shocks" from the episode were kind of smashed over our head again, even if I am somewhat uncertain exactly what it all means. While watching The Flash Season 2 Episode 13, I noted how natural the chemistry was between E-2 Iris and E-1 Barry. Ironically, all of that was gone when her actual husband entered the picture. What that says about a possible future between our E-1 counterparts? I have no idea. 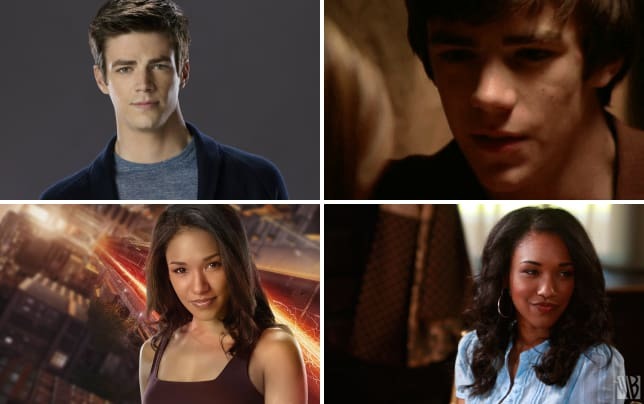 It's entirely possible the reason it's been so easy to look past a West-Allen pairing on Earth-1 is because the two characters don't ignite sparks. Flame all you want. Maybe some of that flame will actually ignite sparks between the two. I've seen what the actors can do; it's the characters who aren't selling more. Maybe when Iris learns what choices E-2 Iris has made along the way and her outlook changes (if it does), that will also mean something different with regard to her feelings for Barry. Time will tell. The character arc for Killer Frost still being badass without being bad only worked because Deathstorm died. I never would have guessed she was somewhat of a wood nymph, but I liked that she was in the forest. Her pretty blue colors and white hair fit in well with the lush green foliage. I'd like to think the door has been left open for her to meet Caitlin somewhere down the road. Because yes, even though the breach was supposedly closed for good, it wasn't. We've already been given spoilers for upcoming other Earths and who Barry meets there. It was kind of sad that Jesse thought her dad had given up on her, but it's also not hard to understand why. Thankfully Barry knew very well how wrong she was in that line of thought. Barry and Jesse worked well right from the start. Now that she's coming back to STAR Labs on Earth-1, will she become a team member, or will she go off to college? It's hard to imagine Harry would want her to leave his side anytime soon, but then I never imagined Henry Allen would take off the day after he got of prison, either. Which brings us to the Man in the Iron Mask. I thought he might be Wally West, but I am a little messed up with that at the moment. Various thoughts went through my head while watching this particular installment. Mask was tapping out Jay Garrick. Tapping it out must mean the poor guy also has a gag in his mouth, right? Because he COULD still talk through a mask. Just pointing that out. Anyway. He could BE Jay Garrick. If he is Jay Garrick, why not just point to his chest like every other red blooded human on any earth would and not pound their head in frustration? Surely it's not an identity thing. After all, Harry knew Jay well on Earth-2. Could Jay have had a twin? Could Hunter Zoloman on Earth-1 have had a twin? He was, after all, adopted. The only way the man under the mask works FOR ME is if there were three of them. Mask, Jay and Hunter. If there were three, though, there were probably four. I guess the real Jay Garrick could have been hidden forever, so long that E-2's Hunter Zoloman has been acting as him, and Harry never knew another Jay despite there being a real one under a mask. That would also mean the mask is only present because we would recognize the face. Which leads us back to Wally (or someone else we know). Why else use the mask? But realistically, how much could the Man in the Iron Mask really know about Jay Garrick to reveal anything pertinent to Barry and Jesse? He could share his name as identity. But why would Wally or anyone else warn them about Jay Garrick other than to say Jay is Zoom? That's all he's got, right? Because he'd have no knowledge that Jay Garrick was on Earth-1 in any capacity unless Zoom has been transmitting the daily happenings of STAR Labs on Earth-1 to a cave. That seems highly unlikely. But Jay was standing beside Caitlin fixing the Speed Cannon while Zoom was on Earth-2, right? And didn't Zoom pluck Jay out of Earth-1 and back into Earth-2, thereby killing Jay? So Jay couldn't be Zoom. Something isn't stacking up. And let's be clear, Jay was not sucked into the vortex, despite the perils of such a thing happening as described by Caitlin. **Update** Thanks to Anonymous for reminding me in the comments that there are other earths out there. So maybe we're looking at Jay Garrick from Earth-3 through how many are there?! Holy moly is this confusing. Well, you get the point. The biggest development to happen on "Escape from Earth-2" was the death of the man we knew as Jay Garrick (dilly dallying around the portal was such a giveaway) both physically and spiritually. We're left pondering whether he was who he said he was, what Iron Mask knows, how Hunter Zoloman fits in (again) and so much more. Do you agree or disagree? Did the hour come anywhere near the first half of the trip for you? What are your ideas about Jay Garrick and the Man in the Iron Mask? Am I the only one who is ten times more interested in learning the truth about Jay and the Man in the Iron Mask than how it directly relates to Zoom? Even when he's directly involved, I still just don't give a damn about Zoom. At least it's good for one thing. DISCUSSION!! Jump into the comments. Where do you stand on all the issues noted above? Have new theories? Better ones? I have more, but it's time for me to STFU. Have your say, and remember, you can watch The Flash online if you need more clues for your thesis! What's coming up next week? Glad you asked. KING SHARK! 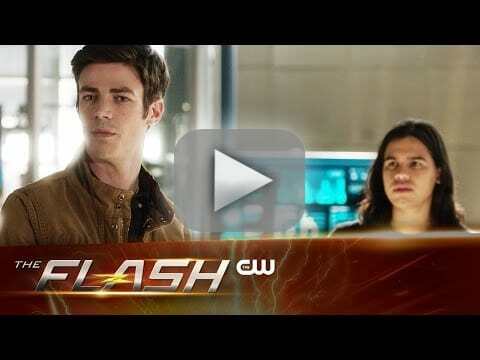 Watch the promo for The Flash Season 2 Episode 15 now! The Flash Season 2 Episode 15 Promo: King Shark Returns! E-2 Barry: I'm gonna have to find this guy and give him a piece of my mind. Harry: Oh, don't give him too much. Permalink: Oh, don't give him too much. Now, if I can do the impossible today, so can you. I'm just Barry Allen. You're The Flash. Permalink: Now, if I can do the impossible today, so can you. I'm just Barry Allen. You're The Flash. 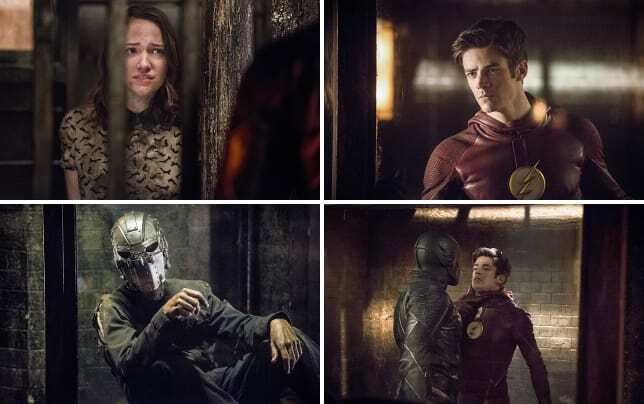 The Flash Round Table: Who's the Man in the Iron Mask?